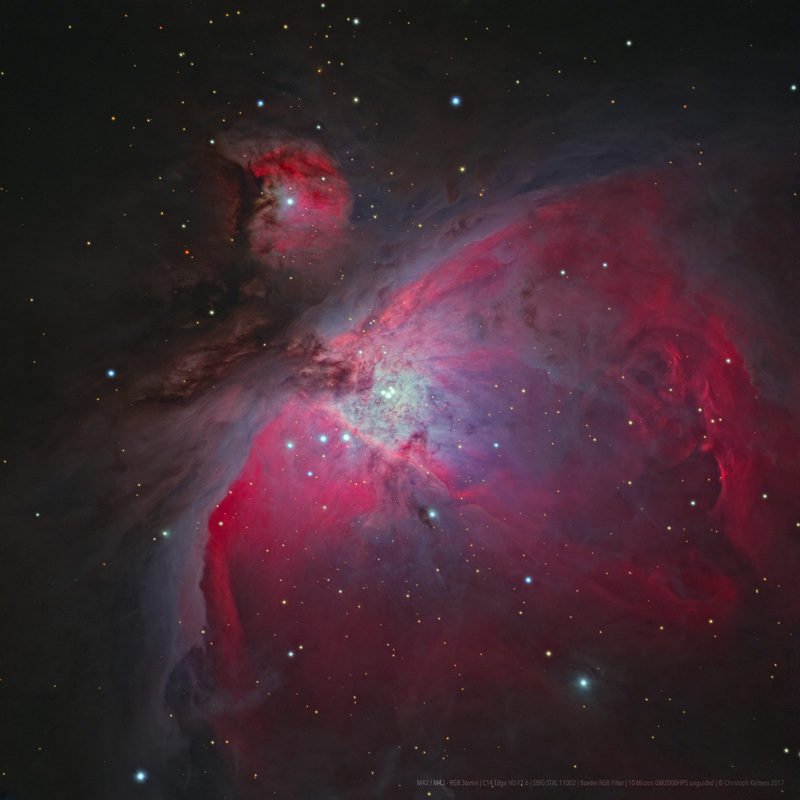 Explanation: Near the center of this sharp cosmic portrait, at the heart of the Orion Nebula, are four hot, massive stars known as the Trapezium. 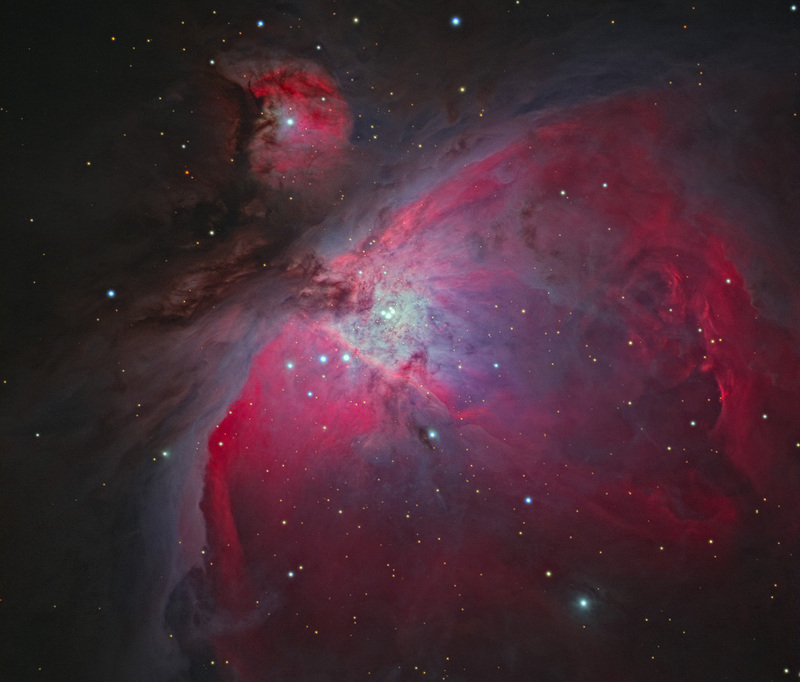 Tightly gathered within a region about 1.5 light-years in radius, they dominate the core of the dense Orion Nebula Star Cluster. Ultraviolet ionizing radiation from the Trapezium stars, mostly from the brightest star Theta-1 Orionis C powers the complex star forming region's entire visible glow. About three million years old, the Orion Nebula Cluster was even more compact in its younger years and a dynamical study indicates that runaway stellar collisions at an earlier age may have formed a black hole with more than 100 times the mass of the Sun. The presence of a black hole within the cluster could explain the observed high velocities of the Trapezium stars. The Orion Nebula's distance of some 1,500 light-years would make it the closest known black hole to planet Earth.